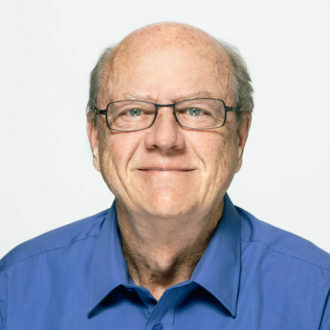 John Fairbank has more than thirty-five years’ experience in public opinion research and policy analysis, specializing in ballot measures and advising candidates on national, state, and local levels. As a founding partner of Fairbank, Maslin, Maullin, Metz & Associates, John has consulted for clients in the areas of government, politics, education, business, non-profits, and labor. John has been involved as the principal voter opinion researcher and strategic advisor to successful candidates across the country running for offices including the United States Senate and House of Representatives, as well as for governor, mayor, and other state and local offices. He has served as pollster for U.S. Senator Patty Murray of Washington since 1992, and his research has helped elect numerous members of California’s congressional delegation, including Representatives Katie Hill, Katie Porter, Mike Levin, and Harley Rouda, Democrats who each won Republican Districts in 2018. He has also helped elect numerous high-profile state and local elected officials throughout California, including Los Angeles County Supervisor Janice Hahn, Long Beach Mayor Robert Garcia, and numerous current California state legislators, including State Senators Anna Caballero and Susan Rubio and Assembly member Robert Rivas. In addition to his work on candidate races, John works extensively on ballot propositions, initiatives, and referendums that focus on transportation, education, affordable housing, water, libraries, parks and recreation, conservation, health care, marijuana, and public safety – particularly state and local bond and special tax measures. His statewide research played a key role in securing legislative approval for Governor Brown’s transportation funding package, SB-1, in 2017, and defending that same funding in 2018 by helping pass Proposition 69 (a constitutional amendment dedicating all SB-1 revenues for transportation) and defeating Proposition 6, a measure which threatened to repeal SB-1’s $5 billion to $6 billion in annual gas taxes. His work in 2018 also aided the passage of both Proposition 1 and Proposition 2, providing a combined $6 billion in funding for affordable housing – including dedicated funding to create housing for Californians experiencing mental illness and homelessness. John’s research on behalf of California cities has resulted in voter approval of billions of dollars in capital improvements and hundreds of millions more in ongoing operational funds raised by both dedicated and general-purpose tax measures. In the November 2018 election alone, his successful clients included the cities of Bakersfield, Carpinteria, Canyon Lake, Covina, Culver City, Daly City, Garden Grove, Glendale, Hemet, La Puente, Lawndale, Norco, Pomona, Santa Ana, Santa Fe Springs, and Wildomar. His research has also been instrumental in securing the passage of nine countywide finance measures in Los Angeles County since 1996, including Measure W in 2018 – the largest local voter-approved storm water funding measure in U.S. history. In education finance, John has helped community colleges and school districts win voter approval for over 200 bond and special tax measures. In total, these measures have provided more than $76 billion in funding for school construction and academic improvements, including $51 billion for K-12 schools and $25 billion for community colleges. Noteworthy accomplishments include research that has led to voter approval of five school bond measures for the Los Angeles Unified School District, four bond measures for the Los Angeles Community College District, four bond measures for the San Diego Unified School District, two school bond measures for the Long Beach Unified School District, and three bond measures for the Fresno Unified School District, among many others. In the November 2018 Gubernatorial Election, his research aided the passage of local school finance measures in jurisdictions ranging in size from the San Diego Unified School District ($3.5 billion) to the South Monterey County Joint Union High School District ($40 million). John’s research has helped secure voter approval for bond measures in 36 of California’s 72 community college districts, including Mt. San Antonio CCD and Chaffey CCD, in the November 2018 election. John has been a leading observer of California voters’ attitudes regarding the liberalization of marijuana regulation for both medical and non-medical uses for more than two decades. His research contributed to the victories of both Proposition 64, which legalized recreational marijuana in California in 2016, and Proposition 215, which made California the first state in the nation to legalize medical marijuana in 1996. He has provided research on local policies regarding marijuana regulation for more than 40 California cities, including Laguna Beach, Long Beach, Los Angeles, Palo Alto, Riverside, and Santa Ana, among many others. Regarding water issues and the environment, John has conducted research and provided strategic advice for public education and social marketing campaigns, bonds measures, and programs that focus on water quality, supply and conservation, water recycling, and water infrastructure improvements. His research has helped organizations such as the Association of California Water Agencies, local agencies including the Los Angeles County Department of Public Works, the West Basin Municipal Water District, as well as statewide bond campaigns such as California Propositions 1, 12, 13, 40, 50, 68, and 84 to successfully change public behavior and fund capital projects that clean up storm water and dry weather run-off to protect and preserve lakes, rivers, bays, coastal waters, beaches, parks, and natural areas throughout California. Outside of California, John has also worked on water quality and water clean-up, and protection program campaigns in Puget Sound, Chesapeake Bay, and the Great Lakes. In the transportation field, John has helped transportation and transit agencies raise billions of dollars for road, freeway, and highway projects and public transit expansion and improvements in more than a dozen counties in California and Washington State. His research played a critical role in the success of three half-cent transportation sales tax measures in Los Angeles County, including Measure R in 2008 and Measure M in 2016. John has also played a leading role in measuring and evaluating public opinion regarding California’s current housing affordability and homelessness crisis. In addition to his research for statewide Propositions 1 & 2 in 2018, his work has contributed to landmark ballot measure victories providing funding for affordable housing and homeless services in the City of Los Angeles and Los Angeles County in November 2016 (Proposition HHH) and March 2017 (Measure H), respectively. In addition to his research for political and public agency clients, John has consulted for both business and non-profit sectors. He has worked for many leading companies and organizations including The Walt Disney Company, NBC/Universal, Airbnb, and Mercury Insurance. In the non-profit sector, John has advised such organizations as The Nature Conservancy, the Trust for Public Land, the League of California Cities, the California Association of Realtors, California’s Coalition for Adequate School Housing (C.A.S.H. ), the Building Industry Association of California, and the California School Boards Association. John graduated from UCLA and serves as a Senior Fellow at the UCLA Luskin School of Public Affairs. He lives in Los Angeles.